It’s that time of year! A time of mouth-watering Christmas cookies, treats, gifts wrapped in gold paper with big red bows and hot chocolate with mini marshmallows! But that’s not what the holidays are about at Millers Mutual. To us, it’s about helping people less fortunate and giving back to the communities we serve. It’s about time spent with family and friends and the memories and traditions that we will remember for years to come. For the next few days we’ll be sharing our 12 Days of Giving Campaign, where we’ll be donating $1,000 to each organization on our list. We hope this serves to inspire you to find time and kindness in your hearts to give back to those in your community! On the FIRST DAY of giving we made a $1,000 donation to the Western PA Apartment Association. The mission of the Western Pennsylvania Apartment Association is to promote professional growth within the multifamily housing industry by encouraging professional development of its members, by offering diverse networking opportunities and exemplary educational programs, and to provide public information on legal issues that affect the multifamily housing industry. On the SECOND DAY of giving we made a $1,000 donation to Children’s Miracle Network, Hershey, PA.
Our donation will fund Halo sleep sacks for nearly all newborns discharged from Hershey Medical Center within one month. This donation helps the Children’s Hospital obtain Gold Certification from Cribs for Kids and helps to reduce Sudden Infant Death Syndrome. On the THIRD DAY of giving, we made a $1,000 donation to YWCA of Greater Harrisburg. The YWCA of Greater Harrisburg is a safe place for young working women to live and gather. Major areas of focus include housing and homelessness programs, child development services, veteran services, racial justice, economic and neighborhood development, legal services, and violence intervention and prevention services. Housing and homelessness programs establish well-defined goals and objectives which help people to break the cycle of homelessness and become self-sufficient. They provide section 8 housing, winter overnight shelter, and emergency shelter for women and children in unsafe housing situations, just to name a few. Confidential crisis and counseling services are offered to victims of domestic violence, and there are multiple programs designed for children from six months to twelve years old. The YWCA Greater Harrisburg is a local force dedicated to eliminating racism, empowering women and promoting peace, justice, freedom and dignity for all. On the FOURTH DAY of giving, we made a $1,000 donation to The Central PA Food Bank. Established in 1982, The Central PA Food Bank has been dedicated to the idea that no one should go hungry. With a broad reach covering 27 counties throughout Pennsylvania, Central PA Food Bank provides over 40 million meals annually. Highlighting the importance of nutrition, Central PA Food Bank helps thousands of underprivileged youth and elderly through a variety of free programs. On the FIFTH DAY of giving, we made a $1,000 donation to CHN Housing Partners. CHN Housing Partners’ mission is to leverage the power of affordable, stable housing to change lives and improve communities and housing affordability in the Cleveland, OH region. They have helped to develop over 6,000 affordable homes for 2,500 new homeowners. CHN is an experienced, nonprofit affordable housing developer and housing service provider that works with its partners to solve major housing challenges for low-income people and underserved communities. They partner with cities and organizations to deliver housing solutions and they partner with utility companies, financial institutions, and public agencies to manage and deliver large-scale housing resources to the community. On the SIXTH DAY of giving, we made a $1,000 donation to Bethany Development Corporation. Bethany Development is a multi-unit rental project of HUD for providing housing and related facilities and services to needy and handicapped individuals and families. Bethany Development Corporation is a multi-unit rental project in Mechanicsburg, PA. Bethany Development Corporation operates Bethany Towers which provides housing and related facilities and services to low income seniors. All affordable living apartments are one-bedroom units helping low income seniors maintain their independence and privacy. On the SEVENTH DAY of giving, we made a $1,000 donation to United Cerebral Palsy of Central Pennsylvania. For over 60 years, UCP Central PA has been meeting the needs of individuals of all ages with all types of disabilities and special needs, at every stage of life – from pediatric to geriatric. With their comprehensive array of programs and services, they can help people achieve greater independence in areas as varied as education, employment, housing, and social and recreational activities. On the EIGHTH DAY of giving, we made a $1,000 donation to Richmond Development Corporation. Revitalize communities, and generate revenue by facilitating, promoting, encouraging, and otherwise undertaking the revitalizing, economic development of neighborhoods, and single-family/multi-family housing in support of the statutory responsibility of the Richmond Redevelopment & Housing Authority. On the NINTH DAY of giving, we made a $1,000 donation to CMH PA Place. Their mission is to expand the permanent supply of decent, safe and affordable housing in the U.S. through multi-family housing units for low-income individuals. On the TENTH DAY of giving, we made a $1,000 donation to Housing Counseling Services. Housing Counseling Services, Inc. is a non-profit 3 organization that provides comprehensive housing counseling, training, advocacy, technical assistance and housing opportunities for low- and moderate-income home buyers, home owners, and tenants; to help them achieve successful living in healthy, safe, and affordable homes. The goal of HCS is to prevent homelessness and increase sustainable housing opportunities by providing the skills, self-esteem and empowerment necessary within families and communities. Further, HCS works to build the individual and group capacity for economic, physical, and social development of homes, neighborhoods, and communities. On the ELEVENTH DAY of giving, we made a $1,000 donation to COMPASS MARK. Murray Securus, an agency partner of ours, asked that we support their campaign to raise awareness of COMPASS MARK and participate in the Prevention Convention event. Compass Mark provides substance abuse and gambling prevention programs for children, youth, and adults in Lancaster and Lebanon counties. It was founded in 1966 with the purpose to reduce the incidence, prevalence, and consequences of the harmful use of, and addiction to, alcohol, tobacco, and other drugs. Their vision is to meet every individual where they are and guide them toward a healthy, successful life free from addiction. On the TWELFTH DAY of giving, we made a $1,000 donation to Rebuilding Together, Harrisburg. Housing Counseling Services, Inc. is a non-profit 501(c) 3 organization founded in 1972 that provides comprehensive housing counseling, training, advocacy, technical assistance and housing opportunities for low- and moderate-income home buyers, home owners, and tenants; to help them achieve successful living in healthy, safe, and affordable homes. The goal of HCS is to prevent homelessness and increase sustainable housing opportunities by providing the skills, self-esteem and empowerment necessary within families and communities. Further, HCS works to build the individual and group capacity for economic, physical, and social development of homes, neighborhoods, and communities. 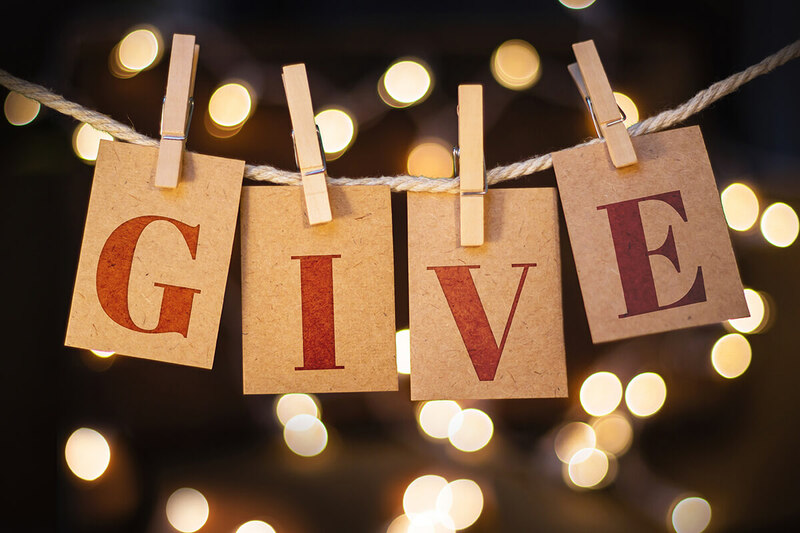 Millers Mutual’s Charitable Giving Committee exists as a dedicated community and industry partner, concentrating resources to have an impact on community development and safety. We take pride in giving back to the communities we serve. Our charitable giving efforts focus on organizations that align with our core values and those of our customers. As an insurance provider, we are in the business of helping to put things back together after the unexpected occurs. Millers Mutual supports programs that will help the unexpected be avoided, promote safe choices, provide protection from property/casualty hazards and strengthens public awareness and the understanding of insurance.